Your race day wardrobe will take first place when you rock this Alex Bowman Nationwide Torque t-shirt from Hendrick Motorsports Team Collection. Its soft, comfy fabric will make this your go-to NASCAR tee. 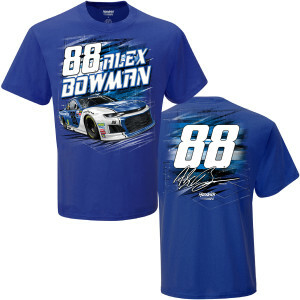 With its vivid, screen printed graphics, this trendy shirt will put you in first place when it comes to style and Alex Bowman support. Printed in the USA, Imported blank.